Hepatitis viruses research started more than fifty years ago. The names of hepatitis A and hepatitis B were introduced in 1947 when it became clear that there were two types of hepatitis that were transmitted either enterically or parenterally. It became apparent in the 1970's that there were additional hepatitis viruses distinct from hepatitis A and hepatitis B, and thus, the term non-A, non-B hepatitis was introduced. The non-A, non-B hepatitis was further divided into post-transfusion non-A, non-B hepatitis and enterically-transmitted non-A, non-B hepatitis in the 1980's. By the end of the 1980's, both post-transfusion non-A, non-B virus and enterically-transmitted non-A, non-B virus had been identified and renamed hepatitis C virus and hepatitis E virus, respectively. Hepatitis delta antigen was first recognized as an antigen associated with hepatitis B virus infection in the 1970's. In the early 1980's, a virus was isolated and named hepatitis delta virus. These five different hepatitis viruses have distinct replication pathways and are major health concerns. They have become an important topic for teaching to graduate-level and medical students. Hepatitis Viruses provides a comprehensive, up-to-date review of these viruses to readers. Each chapter is written by one of the top researchers in the field, and topics include: the epidemiology and the natural history of infection of these viruses, the molecular biology and the replication cycle of individual hepatitis viruses, host-virus interactions and the pathogenesis of hepatitis viruses, the immunology of hepatitis viruses, the relationship between hepatitis viruses and hepatocellular carcinoma, the viral vaccines and antiviral drugs. 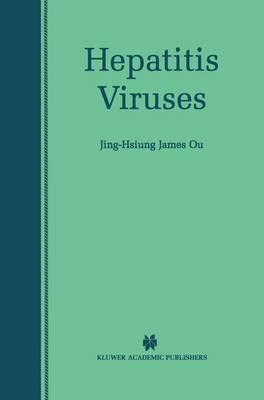 This book can serve as a supplemental reading material to graduate students and medical students, and to any researcher who would like to learn more about hepatitis viruses.